Although a mainstay of any Christmas season, live Christmas trees can be dangerous for cats and dogs. This is because pine needles can be ingested and, in some cases, puncture your pet’s intestines. Not only this, but pine is highly toxic to cats and can potentially cause liver damage. Generally, an artificial tree is safer than a live one. However, if your cat does eat parts of the artificial tree this could cause an intestinal blockage. Spraying the tree with a bitter apple spray can make for a good deterrent – this should help to stop your cat from chewing on the tree. 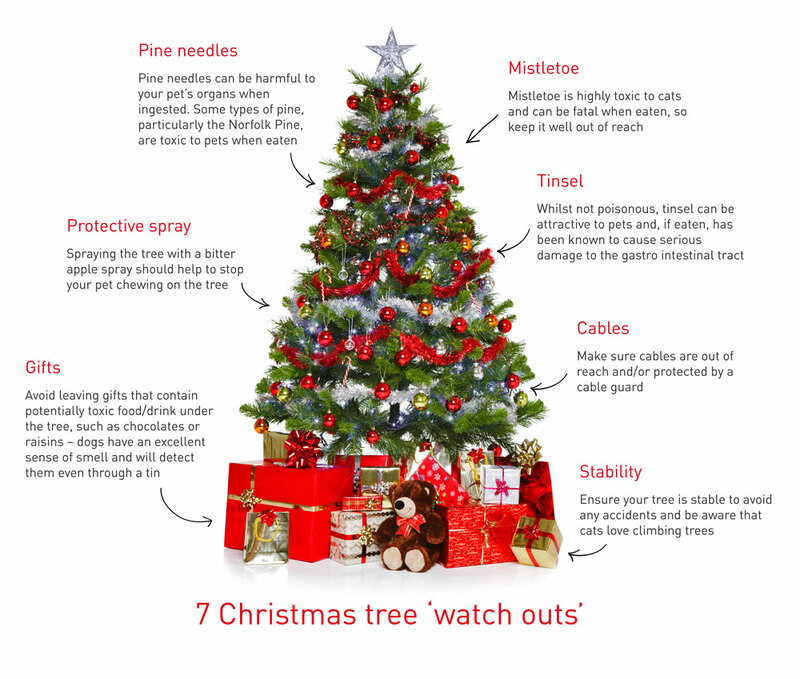 It’s important to be aware of the potential hazards of Christmas trees and their decorations. Visit our Christmas Hub for more information on dogs and Christmas, as well as a chance to win some fantastic prizes by entering our Christmas competitions.